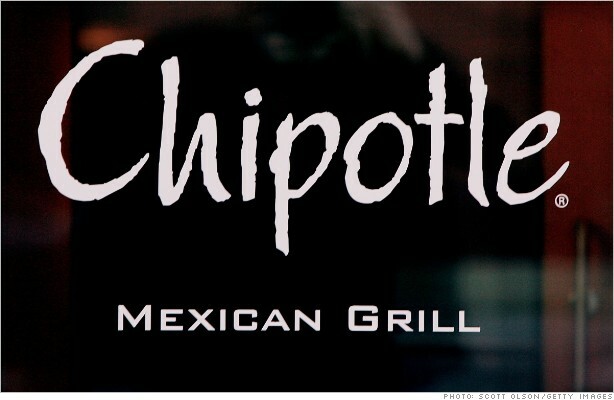 Some hedge fund managers are betting against Chipotle. "I like the products," Gundlach admitted. Yet, he said, "A gourmet burrito is an oxymoron. All you need to compete with its core business is a taco truck." Gundlach made his last minute, seemingly offhand reference to the restaurant chain at the end of a presentation denigrating the Federal Reserve's monetary policy tactics. Gundlach told investors at the Ira Sohn conference in New York to prepare for a world of unending quantitative easing, and said they shouldn't wasting time readying for higher interest rates. A big chunk of the presentation echoed one delivered in California last week, in which Gundlach encouraged the audience to keep buying Treasuries. Gundlach's official recommendation to short Chipotle wasn't completely new either. He first made a bearish call on the company last month. Bets against Chipotle haven't paid off just yet. The stock is up 16% since Einhorn revealed his position last year, even though shares dropped precipitously right after Einhorn revealed his reasons for betting against the chain. Known for his prescient short bet against Lehman Brothers ahead of the bank's implosion, Einhorn has become one of the world's most watched short-sellers. But Einhorn, the final presenter at the conference, outlined a case for another stock, albeit a troubled one that he wants to fix: offshore oil and gas drilling company Oil States International (OIS). He admitted that his idea recently became less original. The activist hedge fund Jana Partners revealed its own 9% stake in the company last week, while Einhorn's presentations was in the "fourth or fifth draft," he said. Einhorn, who also said he's acquired a stake in OIS, made a case for why the company is worth more in pieces, or as a converted Real Estate Investment Trust. Shares of OIS rose in after-hours trading Wednesday. Other stocks moved on headlines from the Sohn conference too. Disk drive makers Seagate (STX) and Western Digital (WDC) fell as noted short seller Jim Chanos recommended betting against them due to concerns about the PC market. And mortgage servicing company Ocwen Financial (OCN) rose after Steve Eisman, who like Einhorn was very skeptical of the financial sector in 2008, said that he thought the U.S. housing market would continue to recover.